We’re fast approaching garden tilling time. It’s not unusual around here to see gardeners preparing their soil by the first week of May. But the calendar is not the best indicator for deciding when to begin working your garden soil. Tilling a garden at the wrong time can be damaging for certain types of soil. That is why it’s good to know when to till. Tilling too soon in the spring can be disastrous for a garden. The garden soil in our upper garden is OK to till. Tilling too soon can destroy soil structure making it difficult for plant roots to grow. In the spring, the limiting factor is soil moisture. Sandy soils are the most forgiving soil type. In a garden setting, sandy soils can be quite wet and still be tilled without doing much harm to the soil structure. On the other hand, loam or clay type soils are much more susceptible to soil structure damage caused by early tilling. There’s a simple test you can do right in the garden to help you decide when it’s time to till your individual garden. 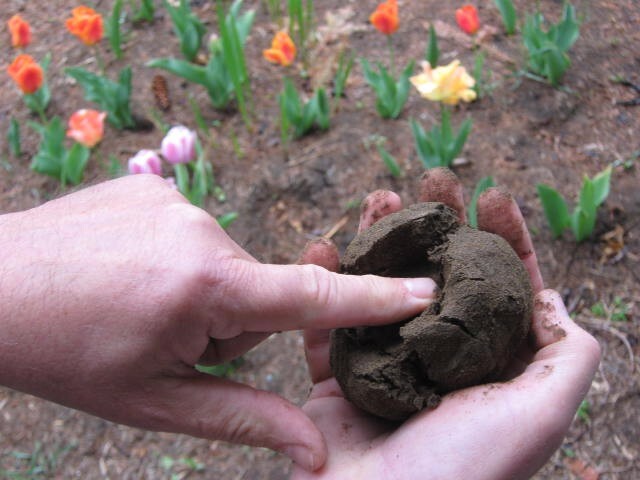 Scoop up a handful of soil and roll it into a ball. Lightly poke it with your finger. If it falls apart easily, it’s OK to till. If the ball holds together it is too wet to till. Let the garden dry out and try the test again later. By getting into the garden early you may gain a couple of weeks of growing time but make sure your garden soil is ready to start the same time you are. This week I dragged all my power tools outside to make sure they would start. All ran fine except one. It is powered by a two-cycle engine — sometimes called a two-stroke engine. You know, one of those that you have to mix oil into the gasoline. 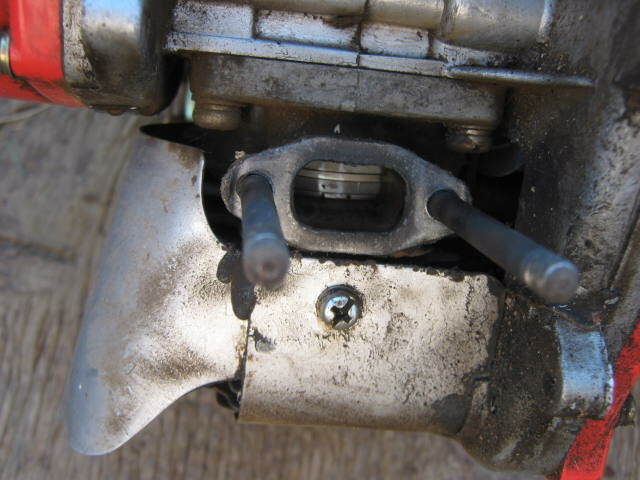 String trimmers, chainsaws, leaf blowers are some of the most common tools that use this type of engine. Fortunately, cleaning those carbon deposits are a doable project for someone with a little mechanical know-how. It’s a good project to try if you want to progress beyond blade sharpening or oil changing. 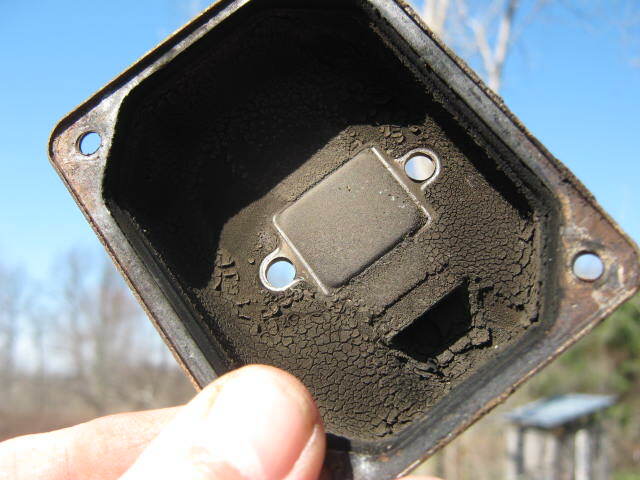 This is what a typical exhaust port looks like. Remove carbon deposits from all muffler parts. 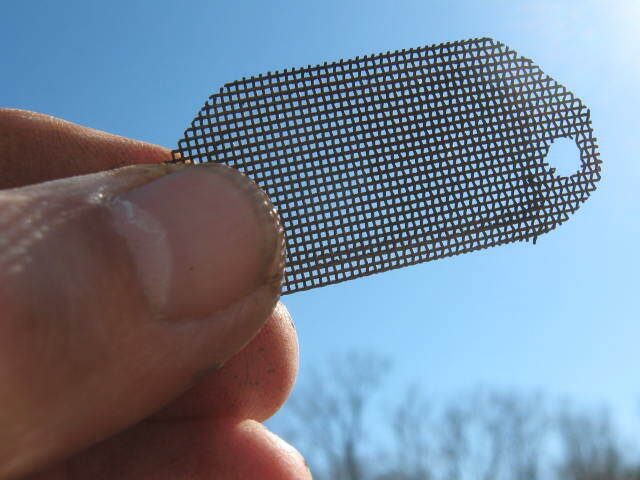 If your exhaust system includes a screen, make sure it is clean. 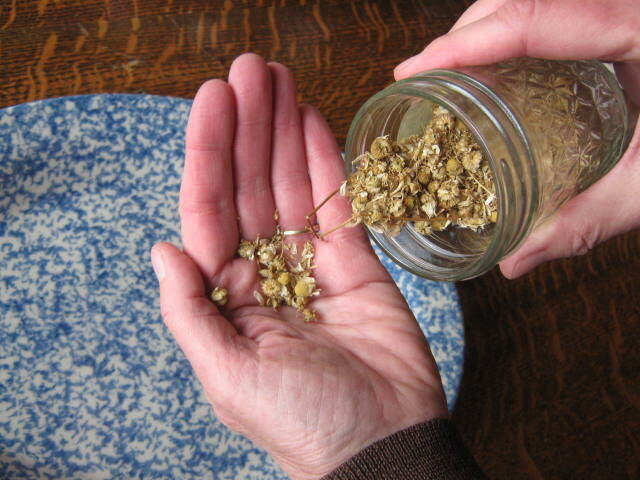 Chamomile grows wild in some gardens. Every year we collect chamomile for tea.